In this day and age of Social Media does anything "Stay at the Party"? 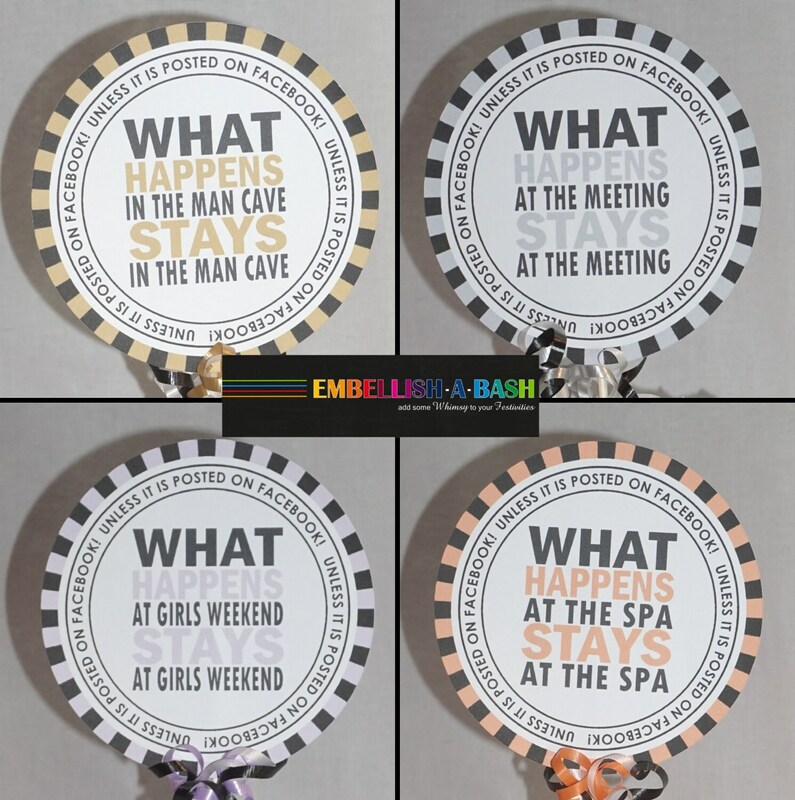 Make light of our times with these fun whimsical signs at your next event! 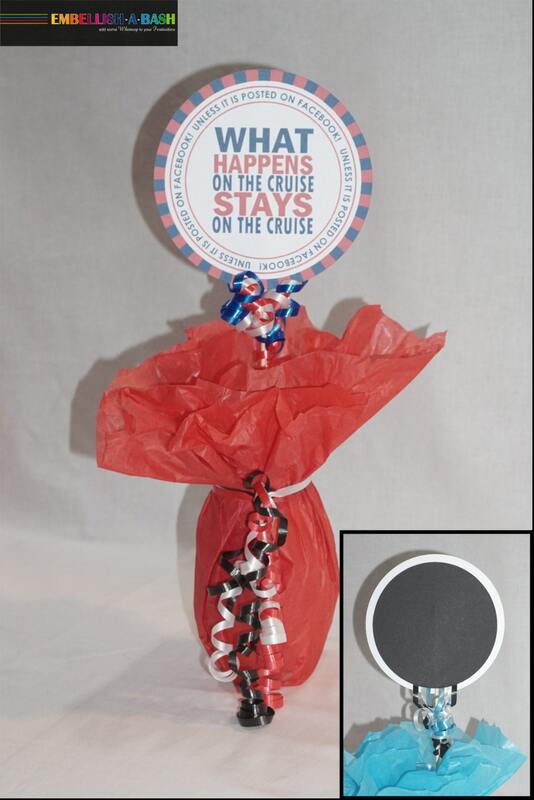 Use them in centerpieces or at your photo booth. 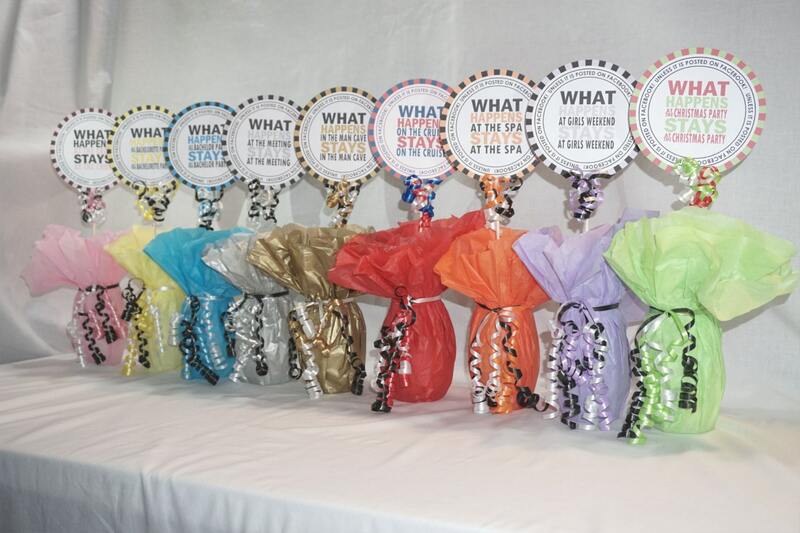 Choose your color, your Social Media and your event at checkout. Great for any event from a Bachelor or Bachelorette Party to an office party to a convention to a girl's weekend away! Don't see your event listed? Choose other and let me know what it is in the notes section! The circle saying repeats: Unless it is posted on Facebook (or Instagram, or Snap Chat . . . ) Want a different Social Media? Let me know in the notes section. 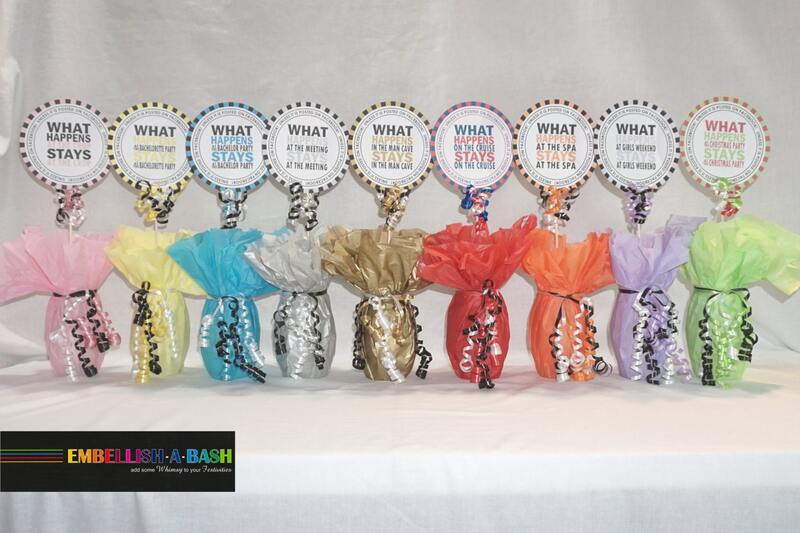 No matter what your party color theme may be Embellish-a-Bash can match it! 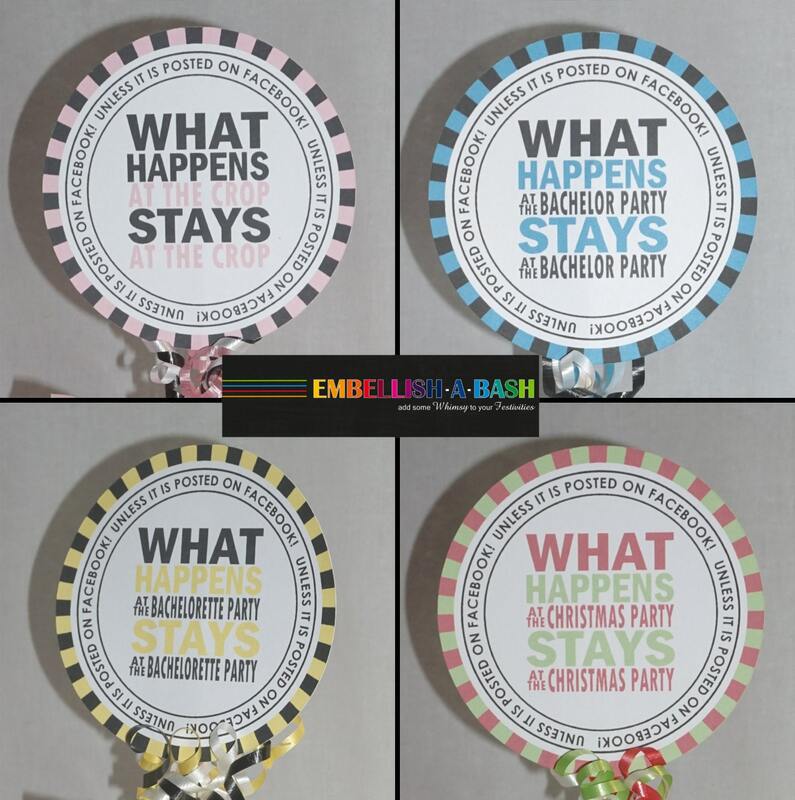 Either choose from the 9 available colors: Pink, Blue, Purple, Red, Orange, Green, Yellow, Gold, Silver or select custom and I will customize to match your party theme. I will contact you, via email, within 24 hours to discuss what color you need. Thank you for stopping by my shop!